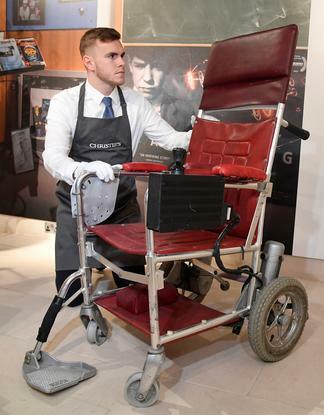 Auction house Christies ran the nine-day online auction called "On the Shoulders of Giants" to raise money for the Stephen Hawking Foundation and the Motor Neurone Disease Association. A motorised wheelchair used by the late British physicist Stephen Hawking sold at auction on for almost 300,000 pounds (US$391,740.00) while a dissertation raised nearly twice that at a sale to raise money for charity. Famed for his work exploring the origins of the universe, Hawking died in March at the age of 76 after spending most of his life confined to a wheelchair with motor neurone disease. 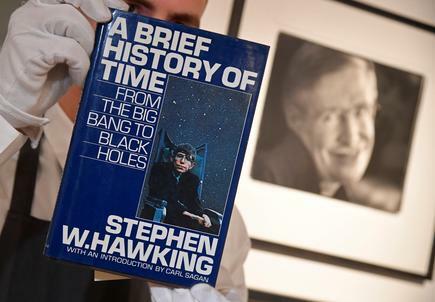 Some of his belongings including essays, medals, awards and a copy of his book a "Brief History of Time" signed with a thumbprint were sold online on Thursday alongside letters and manuscripts belonging to Isaac Newton, Charles Darwin and Albert Einstein. 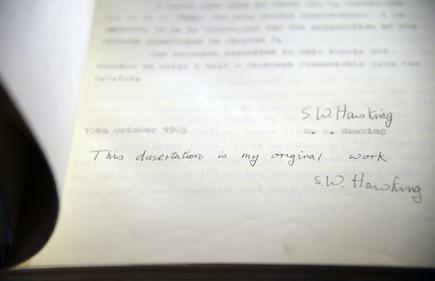 Hawking's 117-page dissertation Properties of expanding universes from 1965 sold for 584,750 pounds, well ahead of the estimate of up to 150,000. Medals and awards sold for 296,750 pounds, compared with an estimate of 15,000 pounds, while the red motorized wheelchair sold for 296,750 pounds, also compared with an estimate of 15,000 pounds. It also offered fans of the physicist known for his electronic voice synthesizer a chance to buy some of his possessions. "Stephen Hawking was a huge personality worldwide. He had this amazing ability to connect with people," Thomas Venning, head of the Books and Manuscripts department at auction house Christie's London, told Reuters ahead of the event.